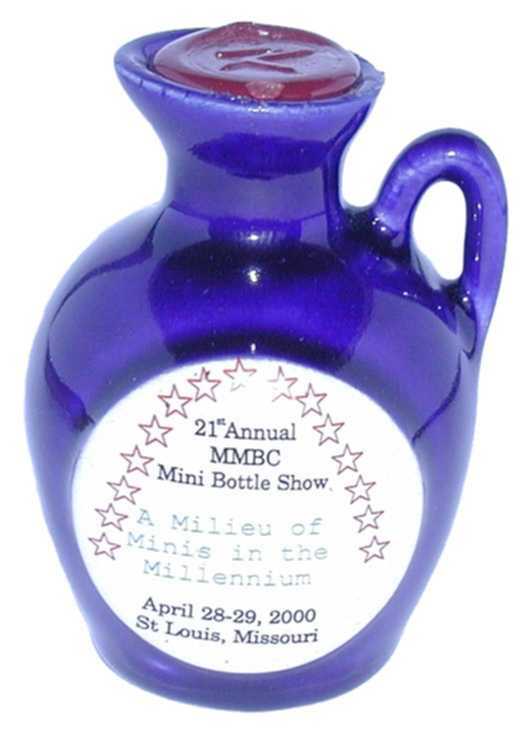 The MMBC Millennium Jug was published specially for the 21st Annual Mini Bottle Show in St Louis, (Missouri), U. S. A., in April 2000. 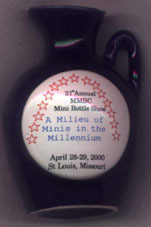 The show in St Louis is organized once per year by the Midwest Miniature Bottle Club. This special series is limited to 200 pieces. The new dark navy ceramic bottle is of the jug shape with a small handle and a white round space for the front label. The front label – „A Milieu of Minis in the Millennium“ – was proposed by the MMBC board (image on the left). Around the text, 15 red stars are arranged in a U-shape arc – the symbol of St Louis. The back side label shows in gold the legendary Moravian King Barley, whose name bears the whisky filled in the bottle. 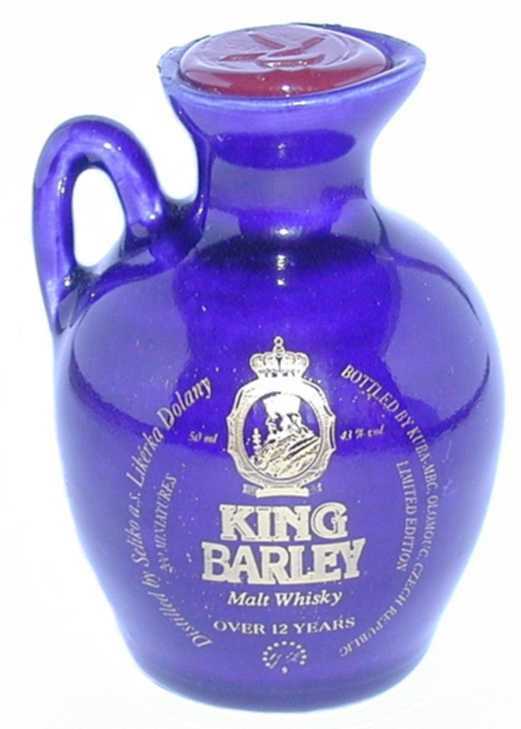 The King Barley Malt Whisky over 12 years is produced by Seliko Olomouc, Dolany, Czech Republic. Edition 2000, specially for the MMB Club, U. S. A.